She has eight of her own puppies too. 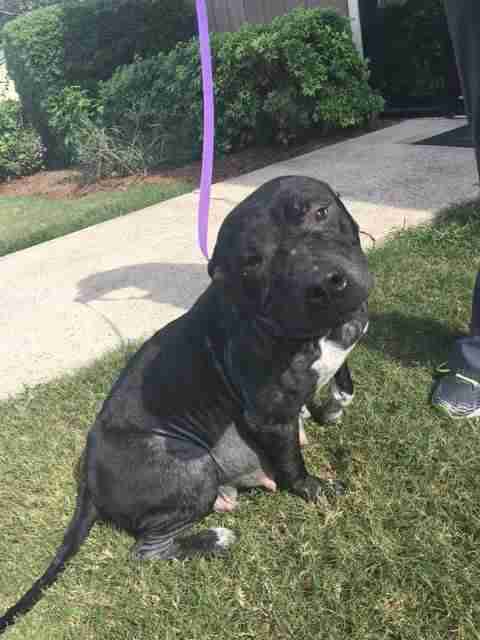 When Lily Rose was pulled from Fulton County Animal Services in Georgia, she was in pretty bad shape. She had heartworms and mange - and she was also pregnant. Almost as soon as she arrived, Lily Rose went into labor, but something wasn't right. For some reason, her babies just weren't coming. X-rays showed they were moving around and ready to come out, but as more and more time passed and Lily Rose become more and more uncomfortable, action had to be taken. Vets knew that doing a C-section was risky, but it was their only option. 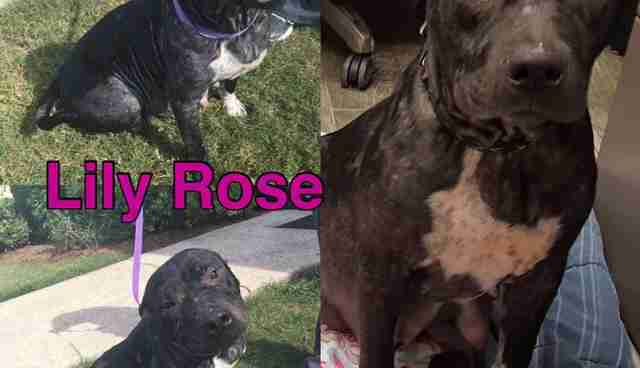 In the end, Lily Rose had eight healthy puppies, but sadly she didn't survive the surgery herself. 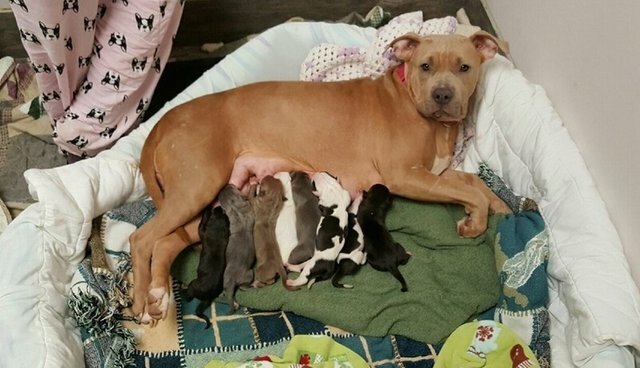 "Such an emotional roller coaster knowing mom was gone and yet still trying to save her 8 living puppies," Rescue Dogs Rock NYC wrote in a Facebook post. "We will never forget this happy, smiley girl, but all we can do to honor her now is to fight like heck to save her babies," the rescue wrote. "We promise you Lily Rose, we will move mountains for them as we did for you!" Pocahontas was rescued from a flooded basement by Rescue Dogs Rock NYC. 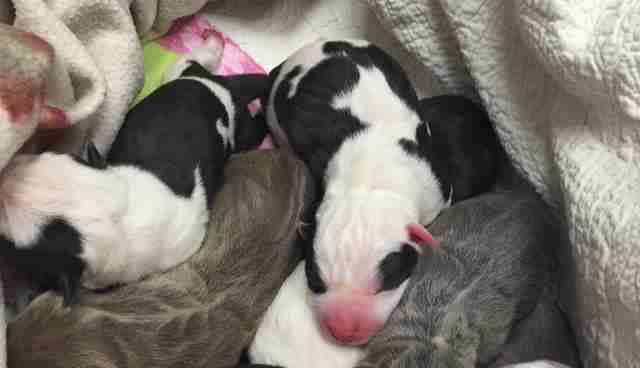 She also gave birth recently, and was still staying with her puppies at the vet in Maryland when Lily Rose arrived. The pair met and hung out before Lily Rose passed away, and since Pocahontas's babies are currently being weaned, she took over the task of caring for Lily Rose's babies, too. One might think that caring for 16 puppies would be overwhelming, but it hasn't fazed Pocahontas. 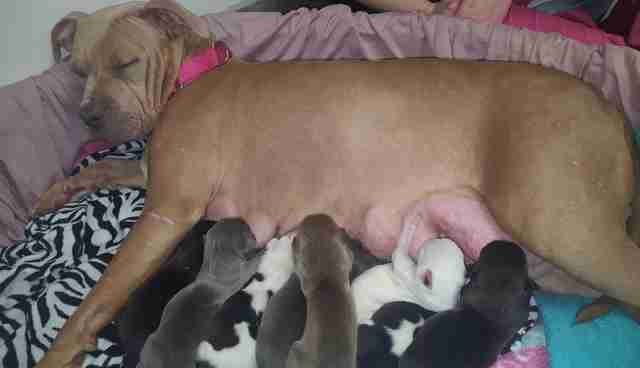 She's been a fantastic mother to both her own babies and Lily Rose's - all the puppies are healthy and doing fine. 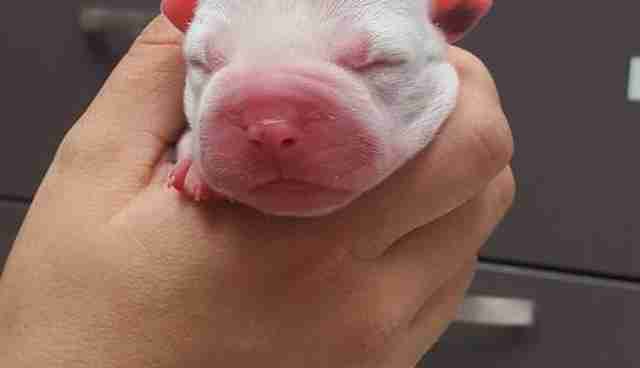 To help Lily Rose's puppies, you can donate to Rescue Dogs Rock NYC.